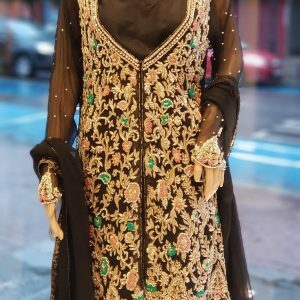 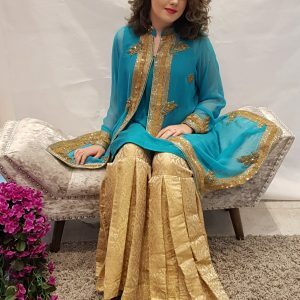 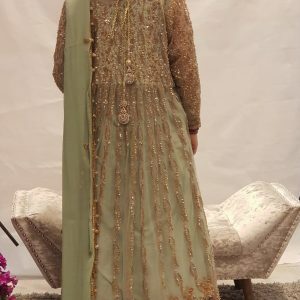 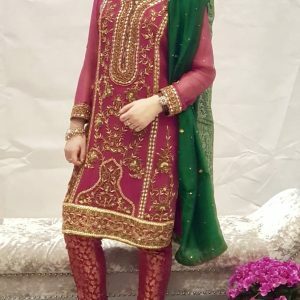 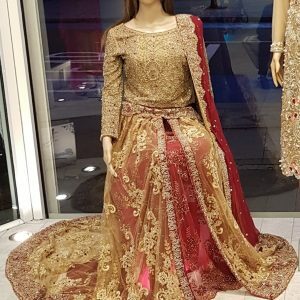 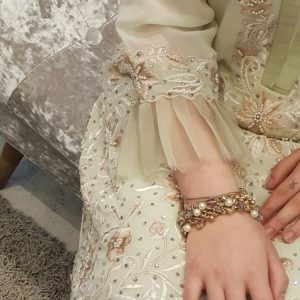 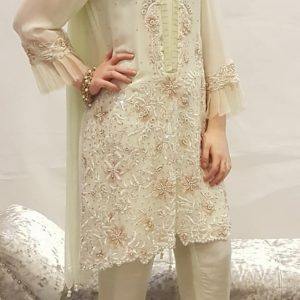 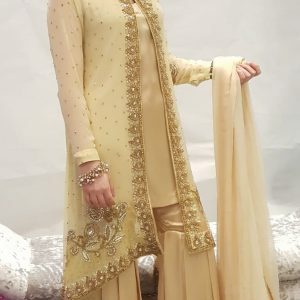 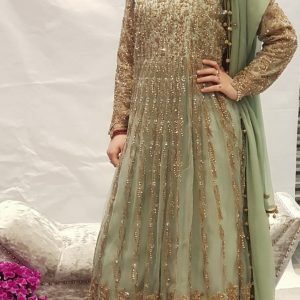 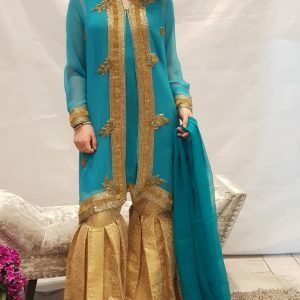 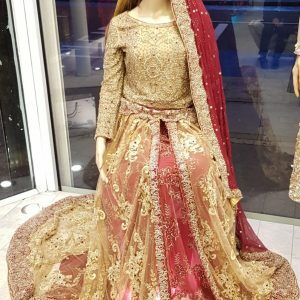 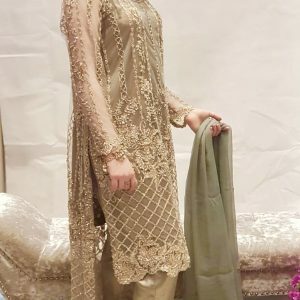 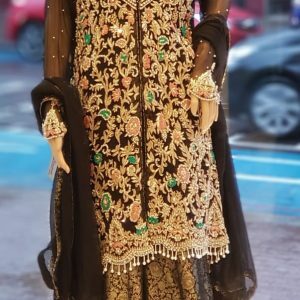 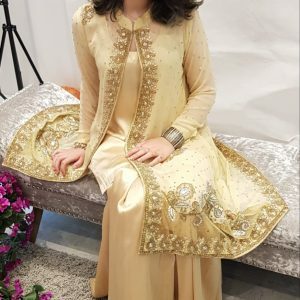 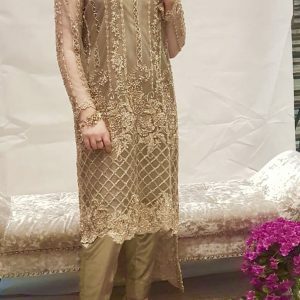 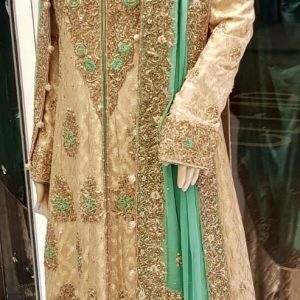 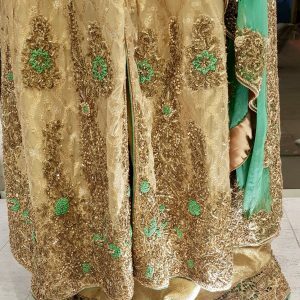 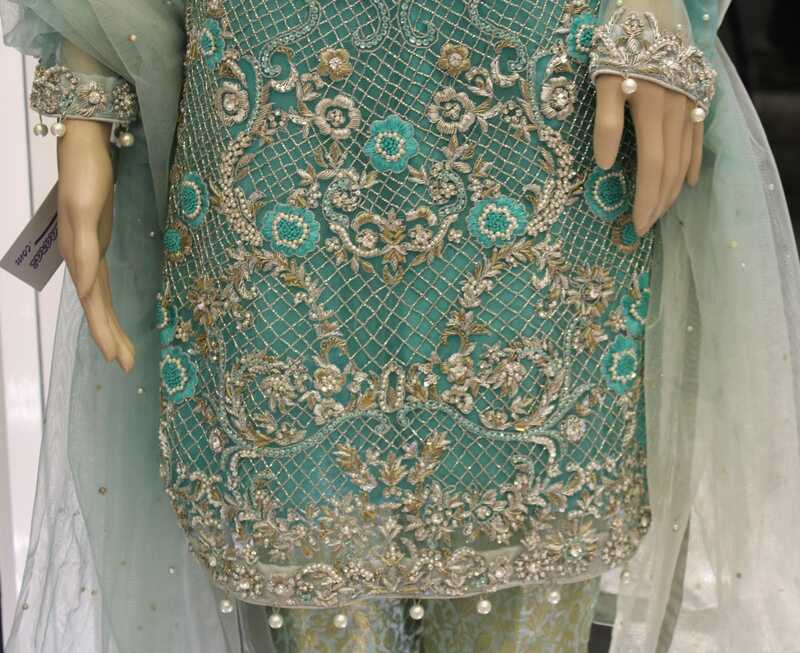 Go for a lavish upgrade for your occasion wear , with this ferrozi net outfit with silver heavy hand embellished zardozi work all over the front along with pearls, beads and sequences. 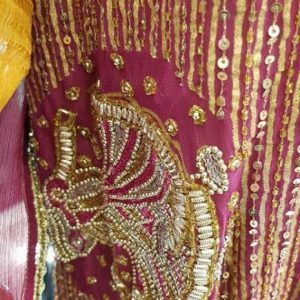 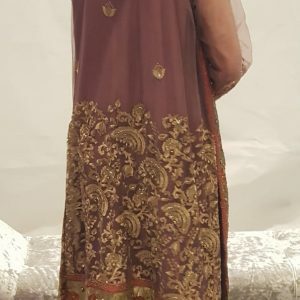 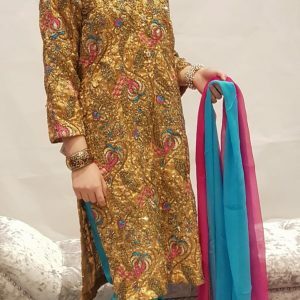 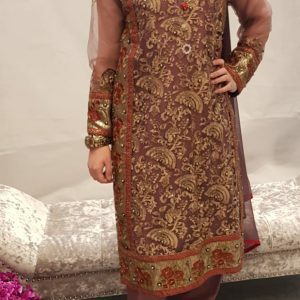 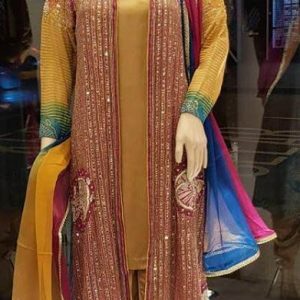 It is further hand embroidered with ferrozi thread work motifs. 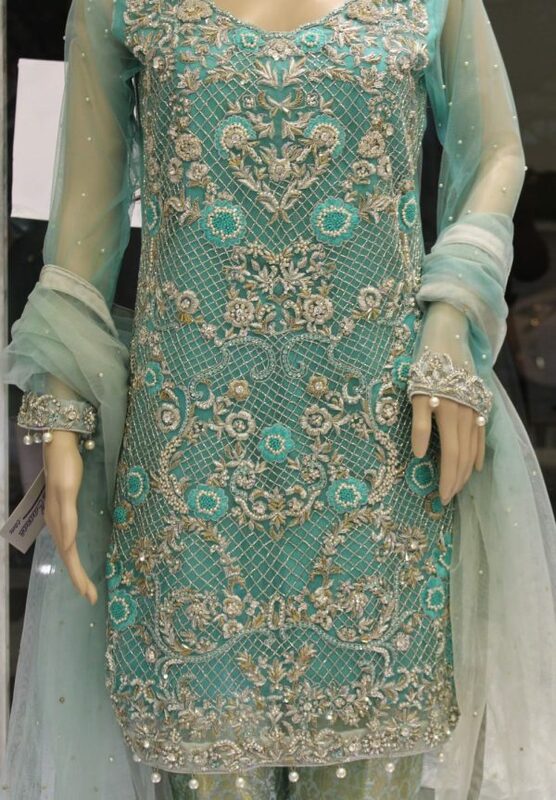 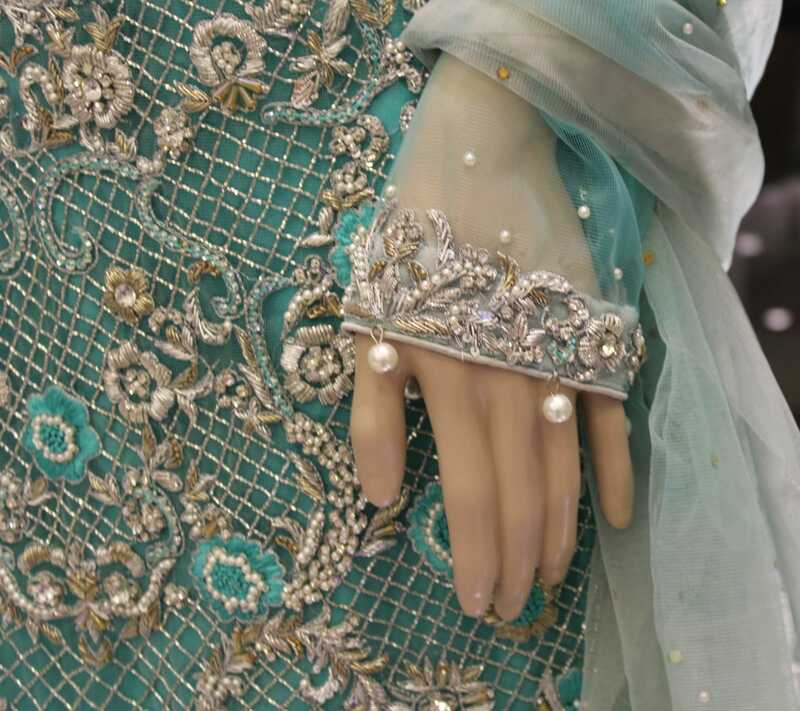 Accompanied by a straight jamawar (jacquard) trouser and a net dupatta with pearl like studs stuck on all over.